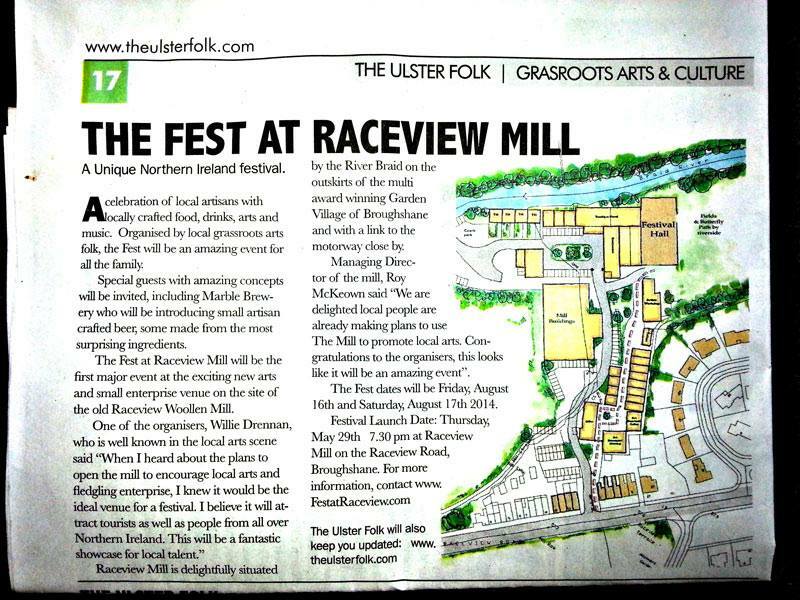 The Mill has been selected as the location for a new festival in August. “A celebration of local artisans with locally crafted food, drinks, arts and music“. You can read all about it in the “Ulster Folk” newspaper this week. One of the organisers, Willie Drennan, said it will be ” a fantastic showcase for local talent”. Click on the image to read all about it.